MYC Graphics Inc. is a graphic design and printing company that is located in Mississauga. We specialize in printing and designing custom signs, labels, posters, banners, apparel and much more. Apart from that, we also have a vehicle graphics and vehicle wrap printing division at Market Your Car. Our history began in 2008 as Market Your Car Inc. with a specialization in vehicle graphics and wraps. Since then, we have designed, printed and installed graphics on thousands of vehicles. We have worked with companies such as Giorgio Armani, Google, BMW, & GFL. 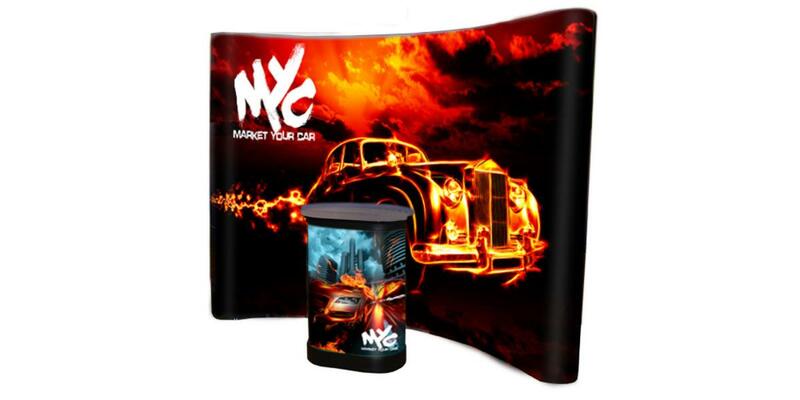 At MYC Graphics, anything is possible - from full/partial car wraps, to entire fleet graphics. We attribute our initial success to the quality and service we provide to our customers. Our vast knowledge of advertising, marketing, and printing has allowed us to grow our graphic design company to an 8,000 sq ft full-service printing and design facility. MYC Graphic’s installation bay is big enough to install multiple 53ft trailer wraps. Because of our winning strategy of quality and service, we have had the opportunity to seamlessly grow into other avenues of the print industry. This allows us to consistently improve and offer more products and services. With the acquisition of more equipment and retaining talented and professional employees, MYC Graphics Inc. envelopes everything that we do so well. Pride in the quality of printing and installation in the printing industry. We are in the service business. It is the reason that our customers always come back. Mistakes happen. We take responsibility for our work. When mistakes do happen, be rest assured that we will always see it through to the end. Our Reputation is everything. That’s why a job is never done until the customer is satisfied. 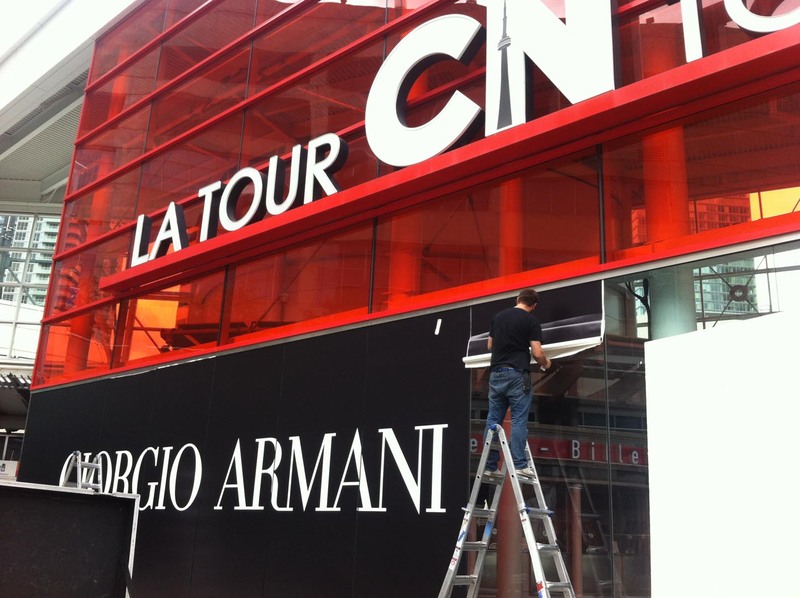 Signage systems help your business stand out. MYC Graphics offers various signage solutions to display your company’s brand exactly how you want. 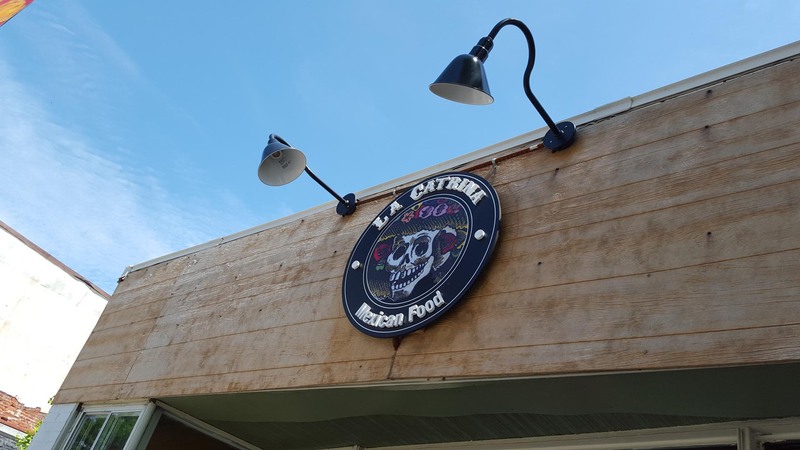 Some of our outdoor building signage solutions include sign box displays, illuminated sign box displays, channel lettering signs, halo-lit signs, 3D signs, pylon signs, blade signs and any other custom signs that you need for your business. The possibilities are limitless when you do what we are able to do. Make your way over to MYC Graphics and let us take charge of your signage needs. Roll-up banners, banner stands, stand-up displays and media walls are great for when you are participating in trade shows or events. They are a sure way of capturing the attention and displaying your message to a multitude of people. There are many other types of display stands such as flag banners, street banners, A-frame signs, poster/menu displays and more. If you’re looking to stand out in a sea of people at your next event or trade show, let MYC Graphics design and print your next banner or stand-up display. Every day, thousands of people drive by your vehicle. As a business owner, all those people are potential leads or clients. Vehicle wraps are a great way to advertise your company and its brand. Stats show that a single wrapped vehicle can reach anywhere from 30,000 to 70,000 impressions per day. Knowing this, 30,000 to 70,000 leads are potential clients – just waiting to be sold to. MYC Graphics is the leading expert for in vehicle graphics and vehicle wraps. Let us wrap your next vehicle and help you become more visible to more people. Every store-front or business space has windows. Whether it’s an outdoor office space or a home-run business, you have windows around you, and windows are a great place to add marketing materials to. 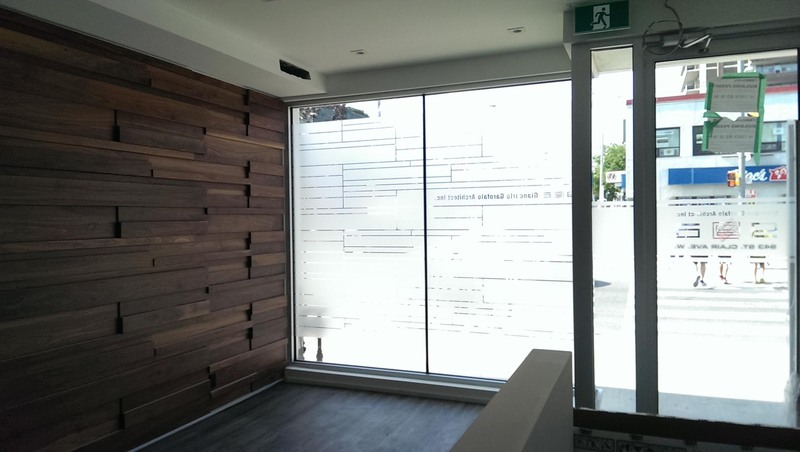 MYC Graphics has the ability to do anything from vinyl cut graphics to frosted window treatments. 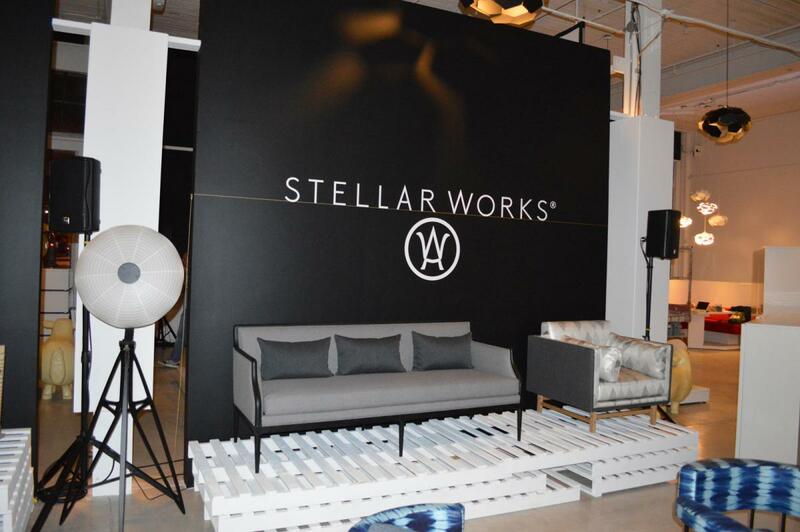 These services offer a unique look to your beautify your office space. Maximizing your office space’s potential is a great strategic move in finding new ways to push your brand across to people walking by or waiting in your office. Printing encompasses a lot of services. 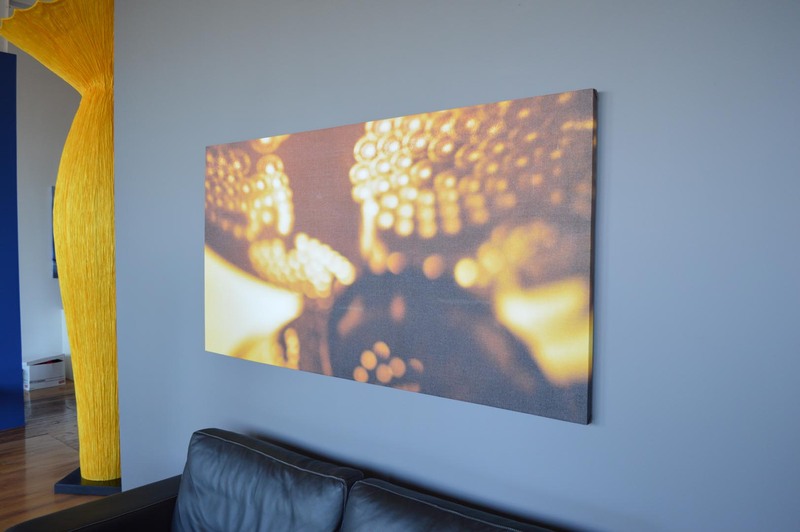 Printing to someone can mean flyers, while to other people it could mean wall art or murals. 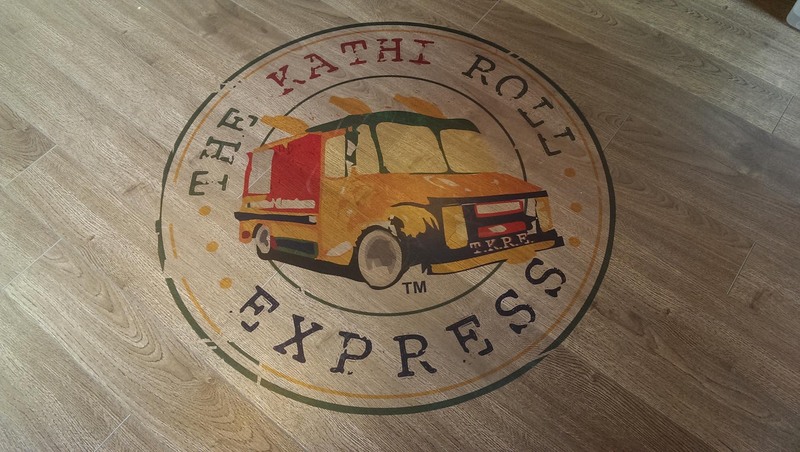 At MYC Graphics, we have the ability to print almost anything that you need or can think of. Whether they are business cards or large dimensional signs, we can print almost anything and on almost anything. Apart from printing, we ensure that the quality of your prints is nothing less than perfect. Your reputation is ours as well, and that is why we treat every printing job as if it were our own. Next time you need something printed (and printed well), come to MYC Graphics. Everything that you see has traces of a graphic design service. Every product layout, prototype, flyer, wall mural, logo, or anything else graphical needs a graphic designer. MYC Graphics is proud to say that it is a 3M Select Graphic Provider. Our graphic design team is recognized for the visual work it does for brands such as yourself. Everything that we do is with conversion in mind. When we design something for you, it’s not just a logo or a business card. We make sure that people look, see and listen to the message that is being portrayed by the visual elements in your design. MYC Graphics can take care of all your print or digital media design needs. MYC Graphics is not a just a print and design company. We have 3M Preferred Graphics Installers on our team who are certified and recognized for the quality of installation that they do. We not only install custom vehicle wraps but also do off-site vehicle graphics installations, signage installations, custom signage creations and much more. Our company encompasses all the services that a client could need from start to finish so that they don’t have to worry about the hassle of dealing with multiple vendors to get one job done. Printing, design and vehicle wraps are a lot of what we do. However, custom manufacturing is a huge part of the work we do here at MYC Graphics as well. We manufacture thousands of custom signs and display systems for companies in and around the GTA, and further. Our unique capabilities allow us to build almost anything. Because of our abilities, we are constantly set apart from our competitors. This, in turn, allows us to take your business to the next level. If you can dream it, we can do it. With our CNC Blade and CNC Router machines, we are able to manufacture almost anything you can think of. Next time, think of MYC Graphics as your preferred manufacturer for signage, display systems or anything else for your event or business. MYC Graphics is now a full-service graphic design and printing company with signage manufacturing capabilities. With our small and large format printers, we can print anything from posters and banners to building graphics and truck & trailer wraps. The addition of our 4×8 CNC machine allows us to create various different types of signage for interior and exterior applications. Such signs include dimensional lettering, channel lettering, sign boxes, custom displays, etc. Our qualified staff is always willing to help our customers through the entire process of design, print and manufacturing, and installation. We have the ability to design and print anything from banners, custom wallpapers, car wraps and graphics to roll-up banners and trade show displays. This, paired with our manufacturing abilities to design and create custom signage, has allowed our company to become a full-service design, print and signage company. Our constant growth is attributed to our loyal customers who have supported us over the years, as well as to our great employees who truly care about our customers and the things we create for them. Our on-going mission is to design, create, and manufacture anything possible with quality and service in mind. After all: Our business is showcasing yours.